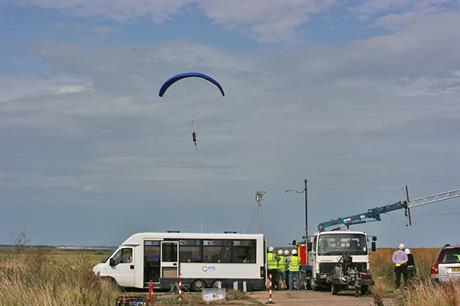 UK: A 500kW pilot project in Scotland will use kites to produce electricity in a project backed by Royal Dutch Shell and E.on. The single turbine pilot, developed by UK firm Kite Power Systems (KPS), will be installed at the West Freugh RAF base in southwest Scotland, according to Bloomberg. In December 2016, KPS received a £5 million investment from Shell, E.on and oilfield services company Schlumberger. According to The Times newspaper, KPS is planning an array of ten 500kW systems to be installed in 2020. 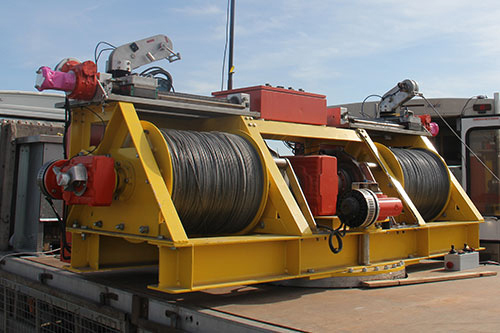 The company is also planning to move its system offshore as a replacement for offshore wind turbines. KPS' turbine uses kites attached to a ground-mounted generator by a 100- to 200-metre tether. The tension created by a kite circling above causes the tether to be spooled out from a rotating generator, which creates the electricity. While one kite is being spooled out, a second kite is being retracted to its starting position. This then spools out while the first kite is retracted. "Energy production is therefore constant and the alternator kept rotating near optimal speed," KPS explained.